Welcome to University High School! 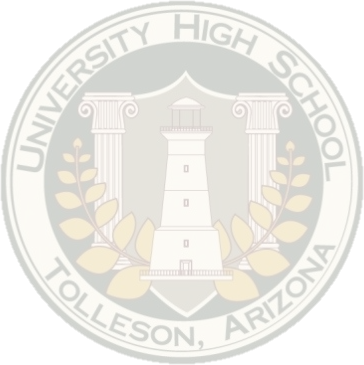 This year University High School is ranked the #7th school in the state according to AZMERIT and AIMS scores and student growth as ranked by the Arizona Department of Education. In addition to this honor, US News and World Report recently named University High School the #7th school in Arizona and the #21st school in the nation for college preparation—out of over 30,000 schools! 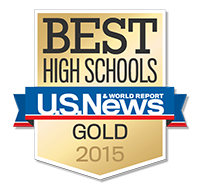 Congratulations to our teachers, staff, students, and community for your hard work and dedication to excellence. Located in Tolleson, Arizona, we opened our doors in 2006 and strive to prepare high school students for college. With a rigorous curriculum, high expectations for our students, and a challenging environment, our goal is to prepare students to be successful in their next level of education. Thinking about becoming one of our new students? Please visit our New Student Information page for additional information. Welcome to another great year at our school. The students and staff of University High are committed to making this school year another year of academic advancement. It is our hope that this website becomes a resource for parents and students as you achieve academic excellence. Here at University High, we believe you control your own academic success. We strive to provide students with the experiences and resources necessary to accomplish this noble goal. The highly qualified and dedicated staff members are committed to empowering you to develop the knowledge, skills, attitudes, and reflective practices associated with academic attainment. The curriculum at University High School will challenge you through college-level courses in a variety of disciplines. The rigor will create a context for discovering your intellectual potential and encourage you to apply your skills in real world situations. You can achieve academic greatness! Every member of the University High learning community is excited to be part of your journey toward academic attainment. We look forward to a successful school year and encourage you to set high goals and achieve personal greatness. Graduation for the class of 2019 is on Tuesday, May 21 at 7:00 p.m. at State Farm Stadium.